During his remarks yesterday at the University of Alabama School of Law, John Roberts got back at Georgetown Law Professor Peter Tague for last week’s rumour. 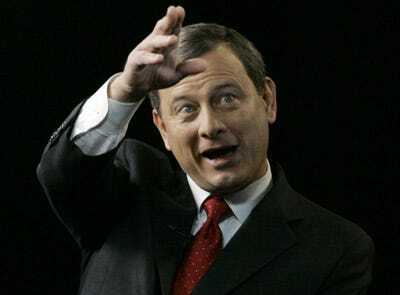 Justice Roberts: I have to announce something to you. Apparently the professor who said that has been so overwhelmed he’s decided to leave teaching. I feel sorry about it, but what can you do? Will news of the dumb 1L‘s retirement be next? Listen to the full podcast of Justice Robert’s remarks here and a find a round up of article’s on the speech at How Appealing.